The complete diaper changing station is designed to make diaper changing safer, quicker and more convenient. 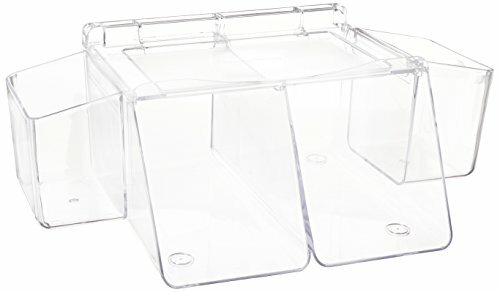 The unique three in one changing organizer includes a roomy compartment for 18 to 20 diapers, a flat tray for baby wipes and two removable side bins that hold ointments, powders, lotions and more. The dresser top diaper depot sits on top of your dresser. Any Prince Lionheart wipes warmer is designed to lock securely on top.